The parish of Rothesay on the Isle of Bute appears to have operated a poorhouse from at least 1926. 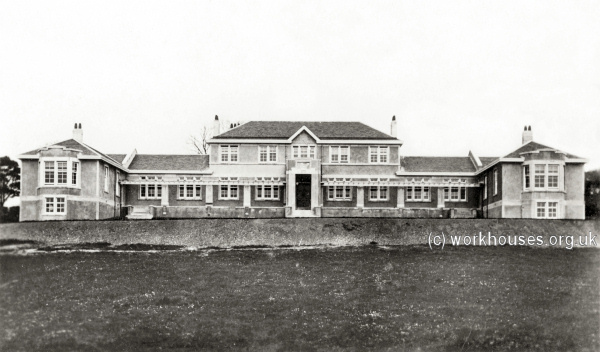 Situated at the south of Rothesay, it was known as Thomson House, later becoming the Thomson Home for the elderly. Thomson Home from the west, Rothesay, date unknown. Glasgow City Archives, The Mitchell Library, 210 North Street, Glasgow G3 7DN, Scotland. Parochial Boardf minutes (1845-1930); General registers of poor (1865-1930); Register of poor chargeable in Thomson House (1926-1952); Applications for relief (1924-1930); Account book of goods and provisions supplied (1847-56); Title relating to the site of the poorhouse (1938).